The Chinese smartphone market is getting increasingly competitive with aggressively priced devices featuring high end specs and looks. Today ZTE announced the Axon 7, the successor to last year's Axon flagship, and keeping with the trend it packs and impressive array of hardware in a nice package and pairs it with a wallet friendly price. In terms of design, ZTE has gone with a unibody metal chassis with slightly curved edges and a slimmer profile than last year’s model. The overall look is reminiscent of HTC’s One series, down to the rear antenna bands and stereo front-facing speakers. There's also a fingerprint sensor on the phone's back and a USB Type-C port for data transfer and charging. 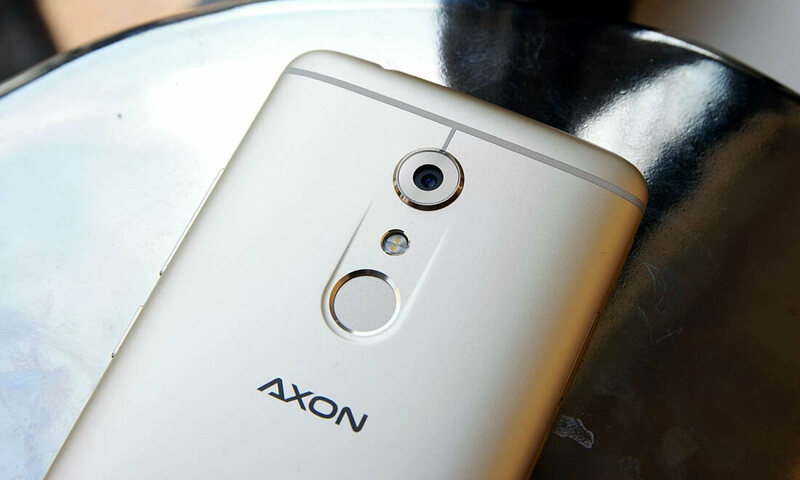 The Axon 7 is equipped with an 8-megapixel front-facing shooter and a 20-megapixel camera in the rear that can record 4K video. The latter also features optical image stabilization and a F/1.8 lens for solid low-light performance. There’s a 3,250mAh battery inside with Qualcomm's QuickCharge 3.0 support for 50% charge in 30 minutes of charging or a full charge in 100 minutes. The device is launching with Android 6.0.1 Marshmallow out of the box with a promised update to Android N when it’s made available later this year. Android Authority had some hands on time with the Axon 7 and says it mostly keeps a stock-like user interface with Google’s Material Design elements intact. The Axon 7 is launching today in China and ZTE says the new phone will arrive in the US in the coming weeks priced around $450.